Premium video consumption is splintering across platforms and services, creating huge challenges for content providers seeking to optimize ad revenues. To address this problem, video ad tech provider Operative has launched a new industry-wide initiative called “Premium at Scale” which aims to enable converged ad buying across linear and digital, based on business outcomes and audiences. Operative’s CEO Lorne Brown told me in a briefing that Premium at Scale is an open, interoperable framework that will integrate media companies’ existing ad tech stacks as requested. 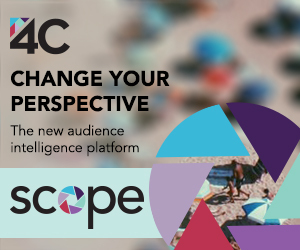 Operative aims to play a central role in streamlining this process, helping transform TV from linear and digital silos to a platform model that will better compete with Google and Facebook. Operative has officially launched Operative Compete, a SaaS platform for publishers to centrally manage all of their programmatic partners. Operative Compete works for display and video inventory and across header bidding and waterfall set-ups. A beta version of Operative Compete has been in use by Outdoor Channel, Rolling Stone, Us Weekly, Nasdaq and Meredith Corporation. Programmatic is becoming a bigger part of the advertising landscape, with eMarketer forecasting that $25.2 billion, or 73% of all U.S. display and video advertising will be transacted programmatically in 2016, rising to $37.9 billion, or 82% of spending, in 2018. eMarketer cites two reasons for the surge in programmatic: buyers’ and sellers’ increased comfort using automation and technology to transact, and increasing demand for audience-driven buying. With video and TV viewing fragmenting across numerous devices, services and apps, advertisers are more challenged than ever to efficiently build holistic, measurable TV ad campaigns. That has created a big opening for major platforms like Google/YouTube, Facebook and others to differentiate themselves with single source, in-depth user data that can be mined for targeted campaigns across their massive audiences. Concerned by these dynamics and the precedent of how platforms seized ad dollars from print publishers, NAB Show is seeking to play a leadership role, forming a new digital committee including executives from TV networks, pay-TV operators and TV station owners. The committee, headed by Lorne Brown, Founder and CEO of Operative, a leading video ad tech provider, held its first invite-only meeting a few weeks ago at the NAB Show. In the hierarchy of important metrics for video publishers, GRPs reign supreme, followed by impressions. From an advertiser perspective, using these two metrics makes it hard to compare performance across these two similar channels. Many large media companies are also grappling with how to reconcile GRPs and impressions, particularly when they try to build cross-channel media plans for their advertiser partners. The biggest problem with GRPs and impressions is that they encourage spending on volume instead of value. While everyone knows that a brand wants to reach a desired audience with a particular frequency, when translated into GRPs or impressions, there are perverse monetary incentives to ignore those guidelines and go for volume instead. The session included Lorne Brown (Founder & CEO, Operative), Sean Holzman (Chief Digital Revenue Officer, Bonnier), Stephano Kim (SVP, Ad Operations & Chief Digital Strategist, Turner Broadcasting), David Morris (Chief Revenue Officer, CBS Interactive) and Lisa Valentino (Chief Revenue Officer, Conde Nast Entertainment), with Tom Herman (CEO, DashBid) moderating. The wide-ranging discussion touched on various topics including how campaign success metrics are changing, why performance and engagement are paramount, how content providers are creating their own data management platforms and selectively exposing their first-party data, why the consumer is really in the driver’s seat, the role of branded entertainment, the challenges of moving to a direct-to-consumer approach at scale, ad-blocking and much, much more.